Set over the course of a single weekend, and deftly alternating between the five Tabors, this provocative, gorgeously rendered novel reckons with the nature of the stories we tell ourselves and our family and the price we pay for second chances. 1. When Harry Tabor is being interviewed by the Palm Times reporter, he says: “The past no longer exists, there is only the future, whatever it may hold.” How has that sentiment shaped the course of his life? Do you agree with that point of view? 2. Why does Roma dream so frequently of her grandmother, Tatiana? What does she represent for Roma? 3. Why is Roma so affected by Noelani’s case? What does the little girl’s story reveal about Roma herself? Why do you think Noelani runs? 4. Discuss Phoebe’s views of herself. 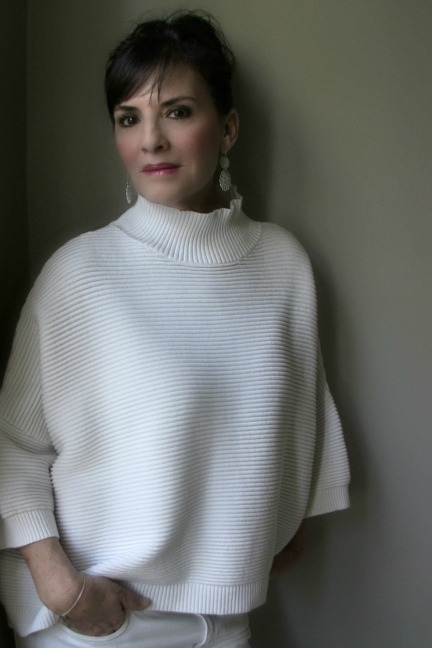 Her friends disbelieve her when she says, “Professional success isn’t the sum total of me, it’s not all that I want…” and her thoughts make it clear that she wants love and a child. Do you think Phoebe is being honest with herself? 5. Why does Phoebe invent Aaron Green? What does her invention reveal about her desires? About the pressures she feels? 6. Why does Camille have such a deep interest in researching tribes in exotic locales? How does she compare and contrast her time in the Trobriand Islands with “real life”? 7. Why does Camille hide her depression from her family? Why does she feel she might have to end her relationship with Valentine Osin? 8. Why has Simon been suffering from insomnia, and what does it reveal about him? About his relationship with Elena? About what he might be seeking in his life? 9. Discuss the dynamics between Camille, Phoebe, and Simon. What draws them together and holds them apart? How do their bonds shift over the course of the novel? 10. Discuss the dynamics between Simon and Elena. What drew them together in the beginning and what might be drawing them apart now? Does it only have to do with Simon’s potential interest in exploring his faith? 11. Roma defines family as “a shambling creature made from accidental love, a meshing of beliefs occasionally disarrayed by inevitable bafflement, and the creation of others adorned with names signaling hope for their natures, prospects for their futures. Whether there is love, happiness, contentment, success, health, and satisfaction, or sadness, trauma, and tragedy in any family, so much is dependent on ephemeral luck.” Do you agree with her formulation? How would you define family? 12. Harry thinks he’s been a very lucky man. When Roma wakes, she first thinks about luck. Phoebe thinks her luck in love has run out. Camille thinks her luck is broken. Simon thought he was the luckiest boy when his father knew everything about San Jacinto. What role does luck play in each of the Tabors’ lives? What role does the concept of luck play in the novel? What role does luck play in your own life? 13. Harry begins to hear a “voice” while he’s playing tennis with Levitt. Who do you think the voice belongs to? 14. The “voice” tells Harry: “When you began life anew in the desert, the future became everything, the only thing, and since then you have believed you have always lived an endless sequence of perfect days.” Neurology has proven that a person can completely eliminate memories, and such elimination alters the brain. Why has Harry eliminated the dark memories from his past in New York? Have you ever been shocked by the reappearance of a memory you’d long forgotten? 15. The Tabors are extremely close, yet each of them keeps secrets from the others. How well do you think we can ever know the people in our lives, even our family members? 16. Roma asks Simon: “Who among us is ever as good as they can be, as they want to be? And isn’t the effort what’s most important, the pursuit in that direction, that the good we discover in ourselves we claim, or reclaim, and use wisely and well, and spread it around, and pass it on?” What do you think? How do each of the Tabors make an effort to be as good as they can be, and what holds them back? Do you think subsequent good acts can ameliorate or wipe out earlier bad acts? 17. When Simon realizes his marriage to Elena is over, he reflects: “love, no matter how real, no matter the passion that birthed it, is not always enough.” What exactly does he mean? Do you agree? 18. What does Harry mean that he is a “historical Jew”? Discuss the role of Judaism in the novel. How are the different characters shaped by it? The Tabors are a modern Jewish family. Does the fact that they are Jewish make them different from other families of different religious faiths? What do you see as similarities and differences? 19. The novel ends with Simon visiting Max Stern’s house in Jerusalem. What is the significance of that meeting? What do you think the future holds for Simon? 20. 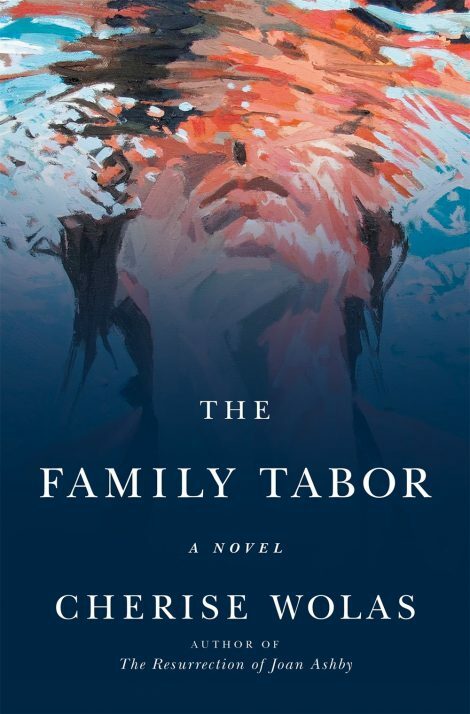 Which member of the Tabor family did you most relate to? Why? THE HOURS PASS, AND he sleeps deeply, and then all the blood-soaked history of the Judaic people, and all the history of those to whom he is related, whose lives were cut short or resulted in his existence, and all his beliefs about the past and the future, and about faith and prayer, are fading back into the pleats of Harry Tabor’s sleeping mind. It is dawn and he is waking, opening his shining brown eyes, running a large hand through his thick hair, still boisterously dark, threads of distinguished white only recently emerging, in this his seventieth year. He is quick out of bed, the travertine marble cool under his feet, and in the bathroom, he gives his solid teeth a thorough cleaning, grinning at himself when he finishes rinsing. He picks up the razor, runs a hand over his cheeks, thinking happily of this afternoon, when his children and grandchildren will descend upon the family’s substantial and striking midcentury modernist homestead, with its five bedrooms and endless other rooms, all open to the expanse of sky and desert and weather and one or the other of their two pools. He and Roma and their progeny all gathered together for this weekend of Man of the Decade pomp and circumstance. Maybe there will be time for a hike with his son. Wouldn’t Simon be surprised if he said, “I’m finally ready to do Cactus to Clouds”? Really, this would be the perfect weekend to hike that tough trail he has always avoided. He sets down the razor. He’ll take the single-edge blade to his face tonight, be glisteningly smooth for the gala event celebrating him. In his large closet, he dresses in his tennis whites, then tiptoes, socks and Tretorns in hand, out of the master bedroom with its view, when the drapes are pulled back, of the meditation pool, leaving Roma asleep, her face aglow in a shard of sunlight, dreaming, he hopes, about something pleasurable, not about Tatiana and Inessa, or the youngster she has begun treating who has ceased eating entirely. In the sunny kitchen, the waft of espresso makes him smile again, that timer on the machine such a modern wonder. He throws back a first cup, rich and unadulterated, looking out over the large aquamarine rectangle in the main courtyard where Roma swims her daily laps before healing the children of the Coachella Valley. Socks on, laces tied, he gulps down two more espressos, leaves the thimble-sized cup in the sink, and pulls from the freezer three bottles of water, slick as stalactites. Out into the open-air carport, into his old convertible Mercedes coupe painted in a patina of gold, he revs the engine just a little, to feel the vroom in his being, and leaves his majestic home, which sits on a solid acre, driving past the flowering cacti and soaring palms, and the beds of mimosas, ocotillos, acacias, lemongrass, and the lilies of the Nile, after which the Tabors’ street is named, turning left onto his street, onto Agapanthus Lane. He presses the gas, feels the stalwart car gather its power, gliding so easily over the smooth macadam, a hop and a skip to the courts. He could belong to any of the private tennis clubs in the area, and his tennis pal, Levitt, would prefer playing at his own, but Harry is a man of the people, and he prefers the public courts. After all, he comes from solid stock that knew how to make do with what they had, which was nothing. And he knows how to make do, too, only he has so much more than any impoverished Tabornikov could have imagined possessing back in the Pale of Settlement, when the world was so very, very, very old. Harry Tabor may no longer be chronologically young, but he feels as if he is, lives as if he is, as if this world is a great and wonderful place, and he himself is adding to that wondrousness, waking up every day strong as a bull, his thoughts sharp and important, his very being brand-new. A man self-made, through and through. That’s how he remembers his own life, up to this point. And there is Levitt’s showy Maserati cooling down when Harry pulls into his regular spot at Ruth Hardy Park. Younger than Harry by a baker’s dozen, but not quite as agile a player, Levitt is a friend Harry considers “newish” since they met only a decade ago. In the desert, ten years is nothing against the antediluvian nature of the topography. Creaky parking brake engaged, Henry swings himself easily through the car’s open door, is up on his feet, retrieving his tennis bag from the backseat.